Digital natives at Notre Dame learn new technology skills as part of the diocese’s technology initiative. The iPad is one of many at St. James School in Johnson City, NY. All core subject teachers have an iPad in the classroom, and Clancy has five in his office – purchased with help from the school’s annual fund – as a reward for those students selected as “Student of the Week.” Each teacher also has his or her own laptop with regularly updated software, and “every corner” of the school now has wireless capabilities. 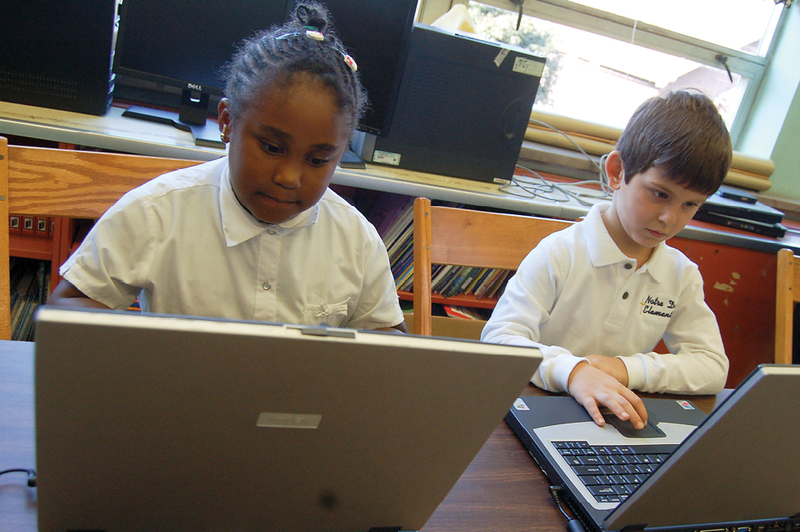 St. James is just one example of the great strides made in technology over the past two years, as part of a diocesan-wide initiative to prepare students for the challenges and opportunities of 21st century technology, according to Dominick Lisi, director of educational technology for Catholic schools. “Technology is moving in fast forward, and, one-by-one, we are preparing our buildings, faculty and students for that reality,” he said. 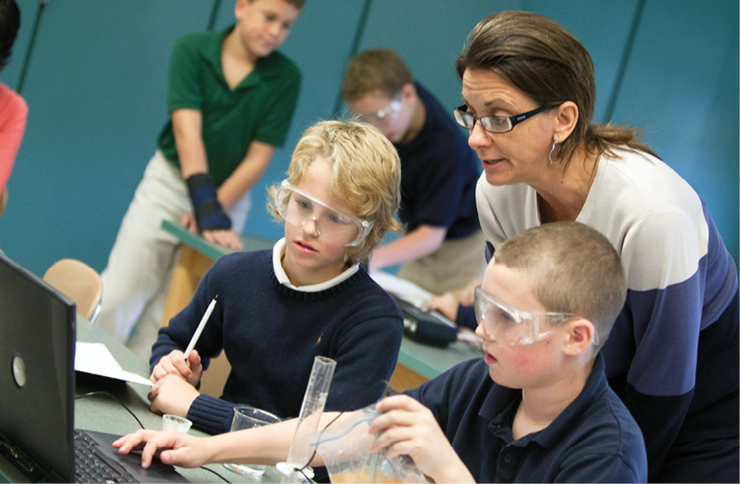 Students at St. John the Evangelist School combine science and technology. To that end, the Catholic Schools Office is working with each school in an effort to provide every teacher in the diocese with a laptop and iPad for use in preparing lessons, use of interactive whiteboards and other related classroom technology resources.“Professional development, reliable technology and effective support are key in providing our students and learning communities with the tools necessary to be competitive in the 21st Century,” Lisi said. 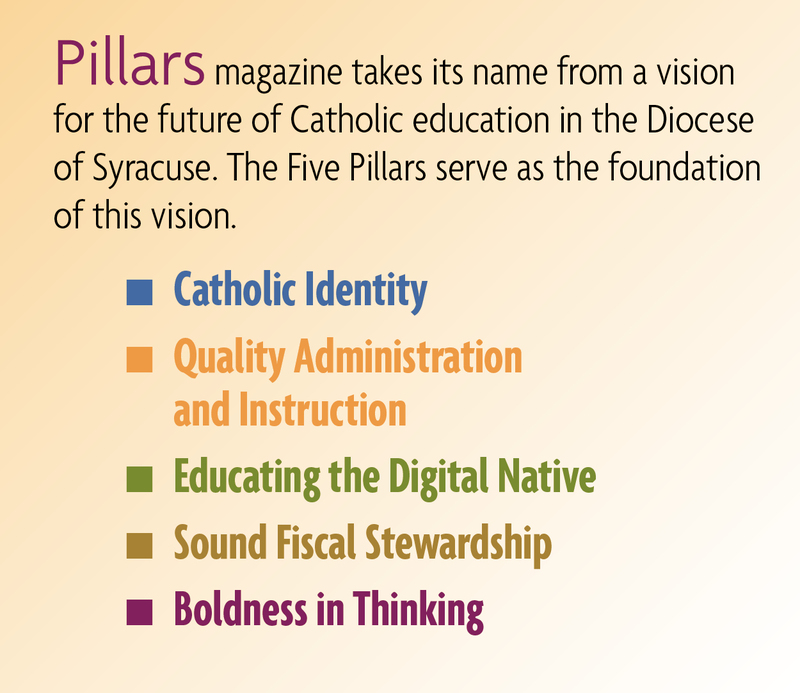 In addition, the Catholic Schools Office has introduced a number of technology-driven initiatives for faculty, including the use of Google Apps, the standardization of school websites, the use of technology to allow distance learning opportunities, and the inclusion of a cyber ethics curriculum in every classroom. Holy Cross School in Dewitt, NY, recently completed the technology initiative. In addition to a total redevelopment of its network infrastructure, the school added 30 computers to its lab at the beginning of the 2011-2012 school year. Each classroom and the computer lab were also equipped with an interactive whiteboard. Teachers at Holy Cross came in over the summer to train on the new equipment, including iPads. All were eager to jump right in to using the technology with their students when school opened last September. More recently, the school purchased a set of iPads, including enough to outfit an entire class. While some of this technology was funded through the diocese, other items were made possible through the school’s development efforts. Caroline K. Reff is a freelance writer based in Syracuse, NY, and a marketing consultant for the Catholic Schools Office.